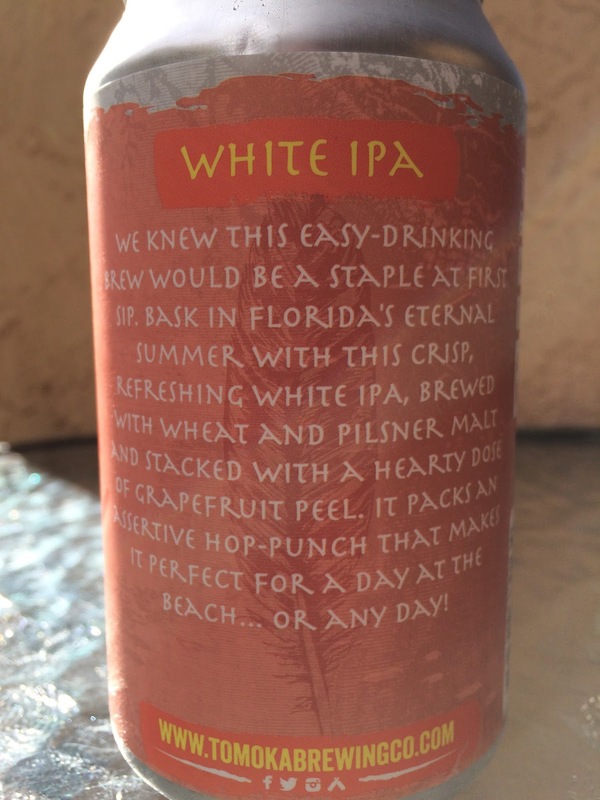 I decided to check out Oceanside White IPA first considering my mother drank my Hazy Sunshine Wheat while I was out of town (soon to be replaced though). The can has a nice beach/ocean photo with a peach background. The story on the back sets your expectations, setting you up for a refreshing beer to quench your thirst in "Florida's Eternal Summer." 7% alcohol. 75 IBU. 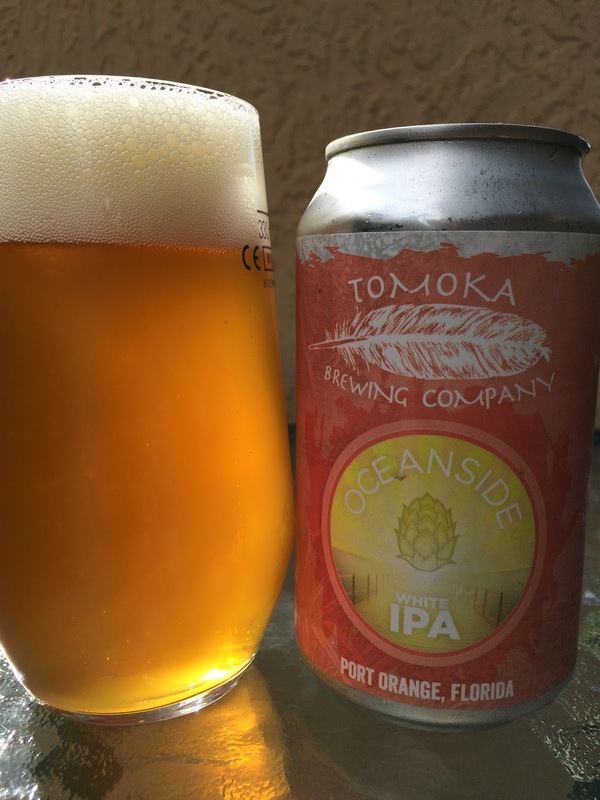 "The Path to Enlightenment is a River of Tomoka Beer!" Fruity citrus aroma full of grapefruit zest. Sweet orange and tropical pineapple flavors start. Perhaps maybe a touch of sweet honey too. "Assertive Hop Punch" is the perfect description for what follows. Tons of grapefruit, super bitter and zesty. Citrus is on display big time! Full of flavor. And while bitter is clearly the winner in this beer, there is a really nice behind the scenes sweetness to stand up to it. Check it out! I'm definitely going to check out the brewery too when I can!